Search engine optimization improves your rankings on popular search engines by building traffic on your website and helping your business to achieve success. SEO is an internet marketing strategy that enhances your online visibility by staying on top of search engines. DigiLanes is one of the top SEO Dubai companies that help businesses grow by providing professional services related to SEO in Dubai. We have a team of highly skilled SEO experts in Dubai that ensure your business website always stays on top search engines. All our projects are completely bespoke, so it is difficult to give exact figures. At the moment we work with companies who have budgets ranging from a few hundred pounds per month to a few thousand. Rather than having a minimum amount, we adjust our strategies, volume of work and timescales based on the available budget. We can also adjust the approach we take depending on how much involvement our clients have. If you are happy to implement suggestions yourself (after a proper explanation), it will reduce the overall project cost. Furthermore, if you have a service we may have use for, we are happy to trade skills if possible. DigLanes, we like to keep our clients up-to-date. We send monthly reports outlining performance, as well as work completed and upcoming work. In addition, we will also show you how to use Analytics and set up appropriate dashboards so you can keep track of performance yourselves. Why do you always talk about Google, there are other search engines? In the majority of countries in the world Google has the highest search engine market share. This is especially true in the UK, where its market share is regularly over 90% of all search traffic to sites. As a result, we tend to spend most of our time working on optimising sites for Google. Luckily though, a lot of the tactics we use will have a similar effect in the other search engines. If we work work in countries in which other search engines are dominant, we will tailor our approach to make sure you get the best possible results. PPC stands for pay-per-click, and is a phrase used to describe the paid advertising model available to companies on sites such as Google (the results at the right or top of the normal search results). The name comes from the fact you only pay for the advertising when someone clicks on it. It is commonly used to refer to Google AdWords, but could equally describe Bing Advertising, Facebook Advertising or any other kind of online advertising where you pay per click. While the majority of our PPC clients will make use of AdWords, it is not the only advertising platform and certainly isn’t always the most effective. DigLanes, we also have experience using all sorts of PPC services, such as Facebook Advertising, LinkedIn Advertising and Paid Stumbles, to name a few. We will help you find the correct advertising platform for what you’re trying to achieve. Paying a lot of money is the only way to appear on google top list, isn’t it? Contrary to popular belief, ranking first in Google has nothing to do with money! Put simply, you can’t pay to be first. While large marketing budgets help when it comes to SEO, as you can do more, it doesn’t guarantee results. More specialist smaller sites or sites creating great content can often outrank bigger companies. All the search engines do offer paid advertising models, where you can pay to appear higher in the paid results, but these have no impact on the natural search results. Content marketing has been around for decades, but more recently has been used in the digital marketing world to mean creating content for either on-site or off-site use in order to gain links, social shares and traffic. Do you do social media? In a word, yes! However, we generally only act as consultants, as it is much more effective if internal teams are used to speak on behalf of a company. This is because internal teams will be much more familiar with the company, products, tone and customers. DigLanes, we will happily give training, come up with topics or promotions or find the best social channel for a client to use. DigiLanes is the perfect place to get professional SEO services in Dubai. Our targeted and effective SEO campaigns help increase website traffic, encourage customer interactions and eventually help boost sales. We guarantee results beyond expectations. As a leading SEO company in Dubai, our skillful SEO team is determined to get your brand recognized on search engines. We carefully assess the requirements of our clients and provide the best results as we prefer quality over quantity. The objective of SEO is to determine the keywords that your customers will use to search for your products or services. Keeping this in mind, our professional approach and unique strategies result in progressive increment in sustainable traffic to your website. 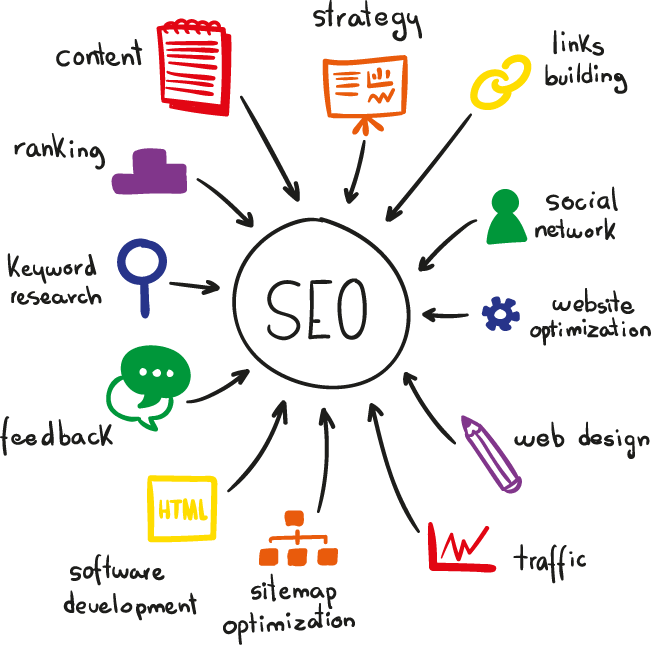 SEO is not an easy task, it is considered to be a long-term business strategy, however once done properly, it can have and company’s bottom-line. For SEO in Dubai, you can choose DigiLanes that has a qualified SEO team, providing solutions to rank your website high. Our specialized SEO Dubai professionals consider a number of comprehensive strategies that are counterproductive. From keyword research to the competitor’s analysis, DigiLanes keep an eye on all dimensions. Being the best SEO company in Dubai we know all the regional search patterns and implement strategies to enhance your site’s visibility. Once the keywords are finalized according to the content, it is time for our SEO specialists to start building links for your site to build maximum traffic. Building links is no science, there is no formula to put in, it is an art which takes years to stand out, and we are proud to have the best SEO Dubai specialists. As one of the premium SEO companies in Dubai, we use a unique blend of conventional and latest marketing techniques to ensure optimum results. Our SEO Dubai team will ensure that your brand gets the highest ranking on search engines. DigiLanes believes in excellence and quality, this is the reason we have hundreds of satisfied clients. Your satisfaction is our gratification. DigiLanes expertise is in fully conceptualizing your vision and providing you with the marketing research and consultancy service so that you can transform your business profitable for you and gain more exposure to your potential clients around you. Digi Lanes © Copyright 2019. All Rights Reserved.